Zlatan Ibrahimović has caused controversy in Sweden after he was quoted suggesting that the country's female footballers should be rewarded with bicycles instead of cars. Last month, the Swedish Football Association was heavily criticised for awarding Anders Svensson a new Volvo to mark his record 146 caps while Therese Sjögran, who has a record 187 caps for the ladies team, was left empty handed. "I was asked in the summer who was the better player, me or (Swedish female player) Lotta Schelin. You're joking with me, right? Do I have to answer that?" 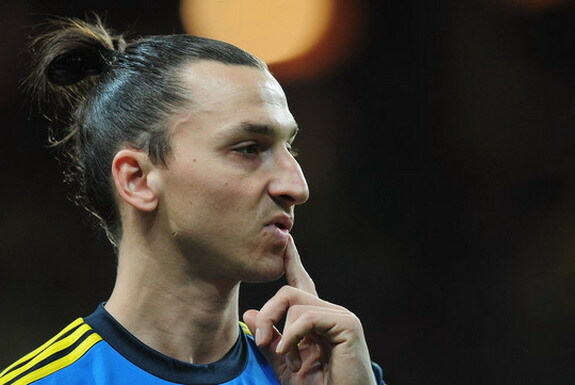 Ibrahimović said in an interview with the Expressen newspaper. "When I come out in Europe they compare me to (Lionel) Messi and (Cristiano) Ronaldo. When I come home they compare me to a female player. What the hell, should I feel ashamed to come home? "With all respect for what the ladies have done, and they've done it fantastically well, you can't compare men's and women's football. Give it up, it's not even funny." Asked how female players should be rewarded, Ibrahimović said: "Give them a bicycle with my autograph and that will be enough." As expected, the words of the Paris Saint-Germain striker haven't gone down well with prominent professionals inside the ladies game. Sjögran told Sydsvenskan: "On one occasion he said we were fantastic and then he thinks that we should have a bike. I don't know what he is angry about really, if it is the association or the media." "It shows a lack of male football's fundamental values," added Sweden's ladies coach Pia Sundhage in an interview with SVT.